One of my favorite places for Friday night fish fry has always been Trailways Inn at the corner of Hwy K and Hwy 27, between Stone Lake and Hayward. 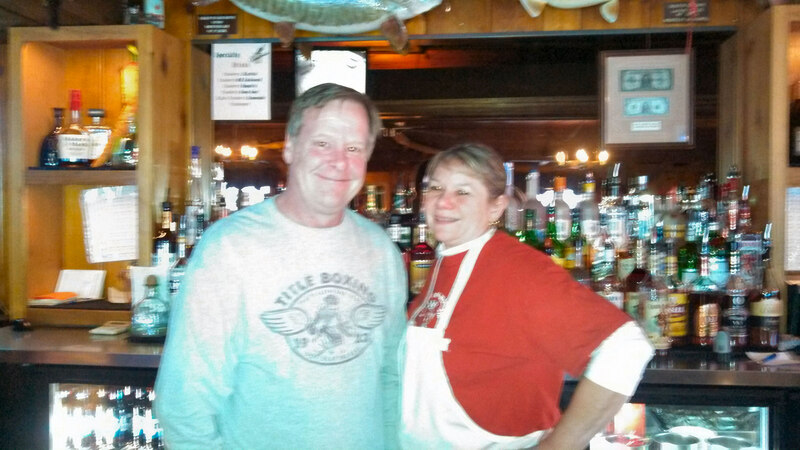 The owners, Dave and Kathy Mathis offer excellent food, for a reasonable price in an entertaining setting. I always order the deep-fried fish, but they offer baked which others have told me is also very good. The deep-fried fish is scrumptious; small to medium-sized pieces are lightly battered then Kathy cooks them to perfection in peanut oil. It is consistently mouth-watering, always flaky, always a perfect blend of spices, and never ‘fishy’. Their homemade tartar sauce, with just a hint of mint, compliments the fish well, and is one of my favorites. The all-you-can-eat meal is served with thick steak fries, refreshing homemade coleslaw, and warm dinner rolls with butter. They also have a full menu available along with a fresh salad bar. There is an alluring ambience about this place that always brings me back; the restaurant and bar are decorated in a northwoods flair and has many trophy fish, mounts and sports memorabilia displayed. The seating is comfortable and clean, and the arrangement promotes friendly discussion among customers. 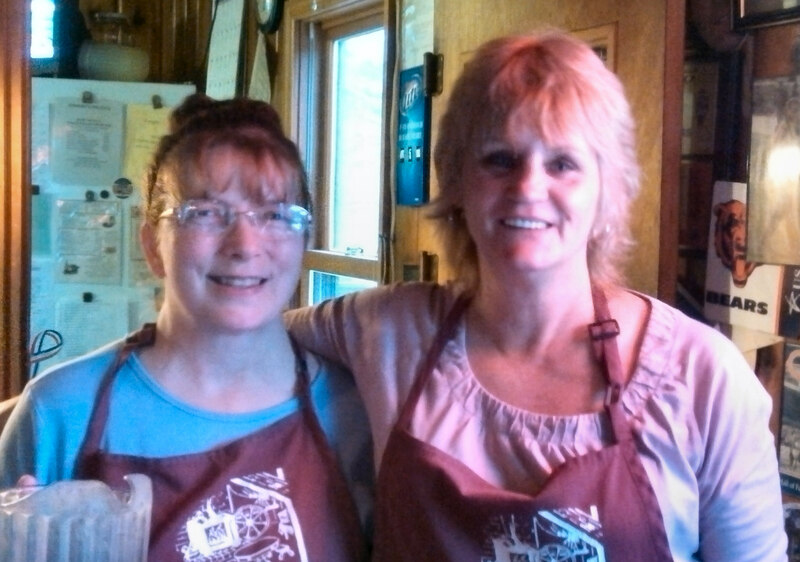 A huge asset to Trailways Inn is their veteran wait staff; Val and Nancy are both wonderful servers who always remember their customers and welcome each one warmly. I’m sure many people return because of Dave Mathis’s engaging banter and his jovial laughter while he’s mixing up another round of cocktails. Check out Trailways Inn’s website and their Facebook page for more info, special events and menu items. 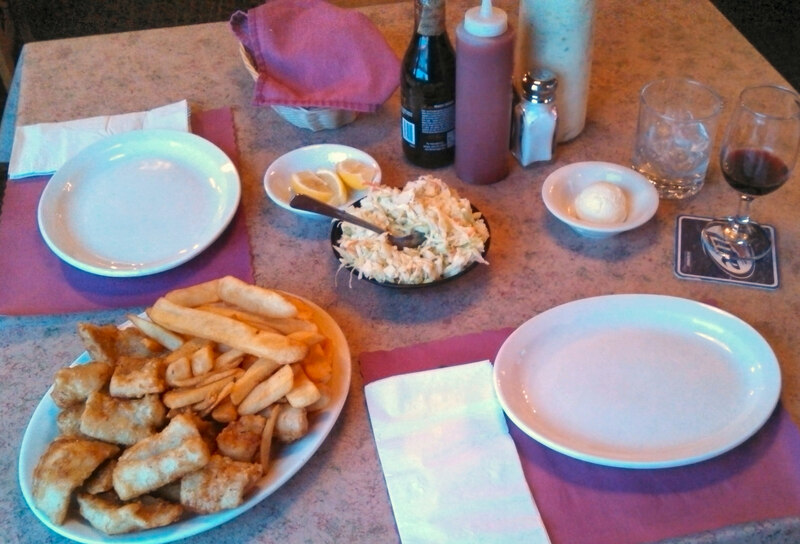 If you are looking for an excellent Friday night fish fry in a cozy, relaxed setting, be sure to stop at Trailways Inn. This entry was posted in Dining & Resorts Hayward Area and tagged cathy lareau, Dave & Kathy Mathis, Dave Mathis, Fish Fry in Hayward, Good fish fry in Hayward, Good place to eat in Hayward, Good places to eat in Stone Lake, Hayward WI, Kathy Mathis, Trailways, Trailways Inn. Bookmark the permalink.